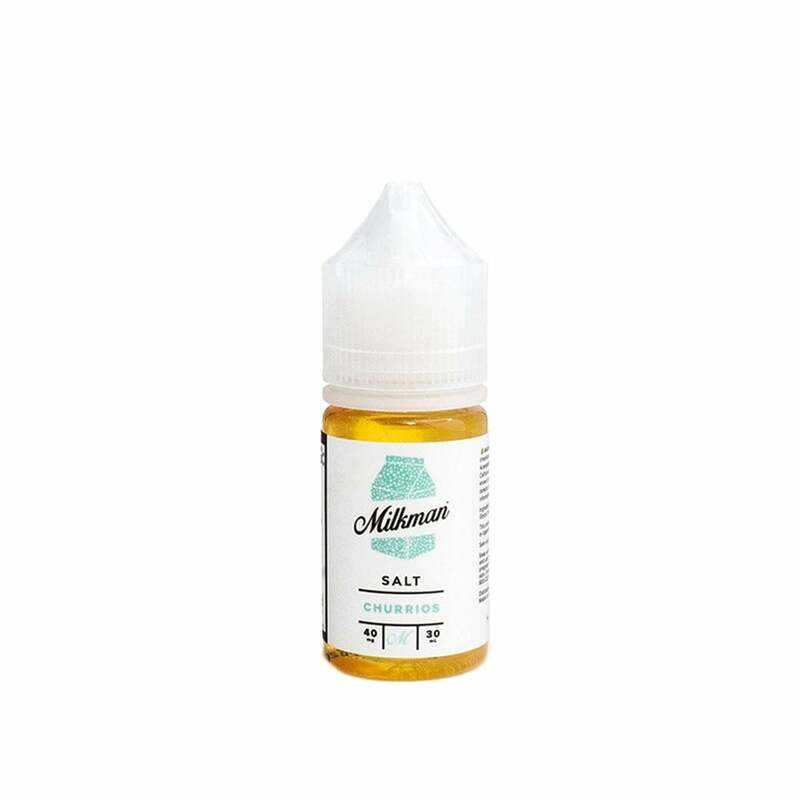 The Milkman delivers Churrios, a nicotine salt vape juice with an innovative flavor blend of sweet-and-savory fried pastry, cinnamon, and nut-n-honey cereal milk. If you've ever dreamed of dipping fresh donuts into cereal milk for breakfast - and let's be honest, who hasn't? - this is the vape juice for you. The Milkman vape juices are available in 40mg (4% nicotine) strength. They come in 30ml bottles and a 60% VG 40% PG formulation. Way to sweet for me. Wanted something mellow and smooth. If you love cinnamon with a taste of milk... this is the product for you! I love it! This churrios flavor has literally taken over my collection. Perfect amount of milk and churros with a perfectly sweet after taste. Also the 60/40 VG/PG vapes clean and doesn't gunk up coils or feel too heavy. Well done Milkman you got a new fan. Probably my favorite flavor right now. Cinnamon, creamy, sweet—it’s all there. Only complaint is the bottle likes to open itself sometimes, and if it’s in my pocket then that’s never any fun. But this review is for the juice and not the bottle, so it’s a definite 5 star. Like chomping on a churro! Sweet, touch of cinnamon... excellent. Not at all what I expected. Tastes like liquid churro sugar and not milky at all. Wish I could return this, have a full bottle that will just go to waste. Fantastic. Light yet rich flavor and close to its description. Way too sweet. It's like vaping artificial sweetener. Huge disappointment.